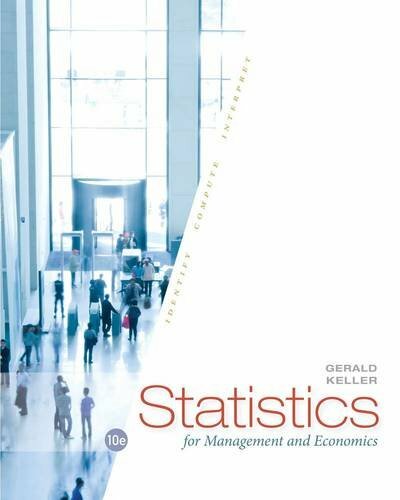 and cases covers the various functional areas of business, demonstrating the statistical applications that marketing managers, financial analysts, accountants, economists, and others use. These comprehensive applications give you hands-on practice, while solid pedagogical elements make the material more accessible and easy to apply to your world. Completely up-to-date, the tenth edition offers comprehensive coverage, current examples, and Excel 2013 and MINITAB 16 content. LABORATORY MANUAL EXPERIMENTS USING MINITAB. Dr. Keller also has been published in OMEGA, IIE TRANSACTIONS, DECISION SCIENCES, INFOR, ECONOMICS LETTERS, and ARCHIVES OF SURGERY.